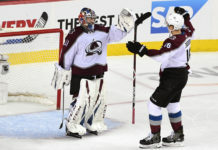 The offense was was too little, too late for the Colorado Avalanche as they were shut out for the 12th time this season, falling 1-0 to the Coyotes in Glendale. 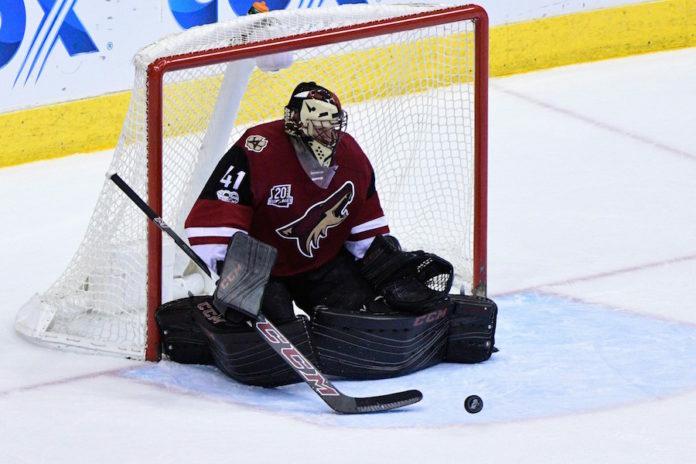 Arizona goaltender Mike Smith set a franchise record with his 22nd clean sheet, stopping 22 shots in the win. Smith did minimal work through the first two periods, as Colorado put just four shots on goal in the first period and seven in the second. The 34-year-old vet did make one sparkling blocker save in the early going. 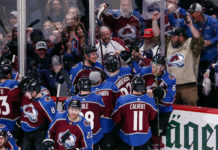 The Avs doubled their total SOG count with 11 in the third, but Smith and the Arizona defense held fast, even through a penalty kill early in the period. Rookie Brendan Perlini scored the game’s only goal off a nice feed from Peter Holland following a Colorado turnover in its own end. 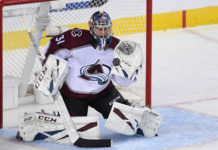 Calvin Pickard made 34 saves on the night for Colorado in the loss. Nathan MacKinnon led the Avs with four shots on goal. Colorado is back home on Wednesday for the first of a home-and-home against the Detroit Red Wings. (Detroit will make a Thursday stop in Arizona between those games.) Saturday’s game in Detroit will be Colorado’s last at the famed Joe Louis Arena. The downtown arena was home to one of the best sports rivalries of the late 90s and early 2000s between Colorado and Detroit.